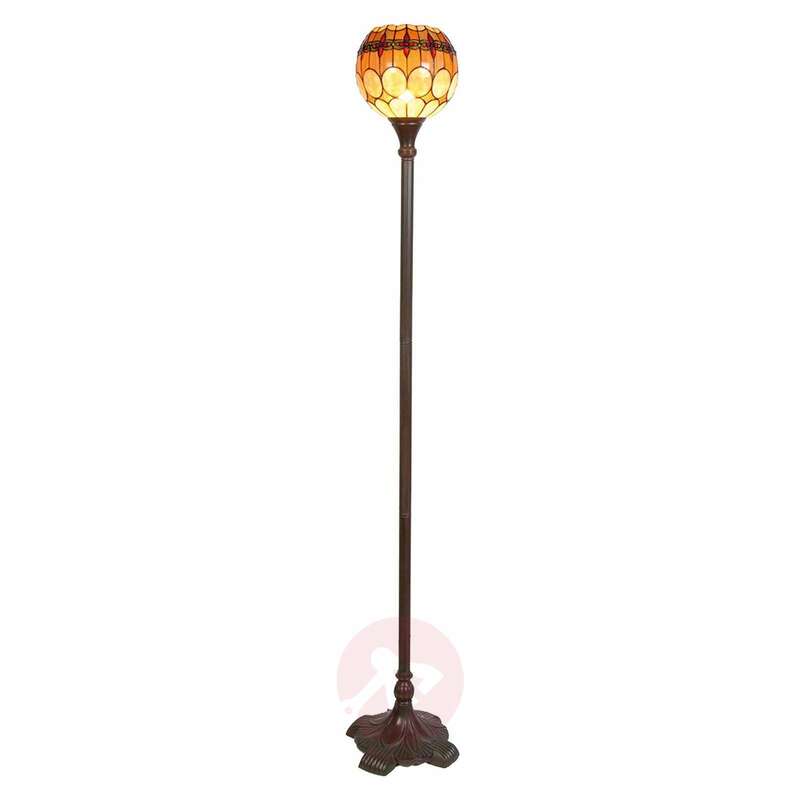 The rounded glass lampshade of the floor lamp Niley is made in the typical Tiffany style. 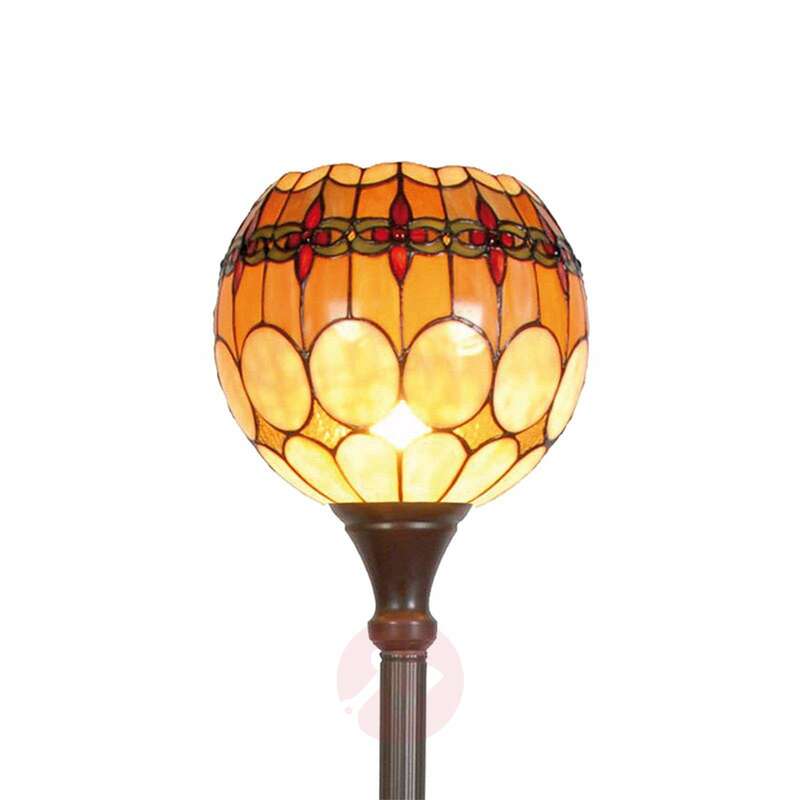 Due to its orange-coloured glass elements, the lamp emits a comfortable light when switched on. The slender lamp body joins into a decorative lamp base that ensures a secure footing.